Aidonia in his element on the Sumfest Stage on Saturday morning. 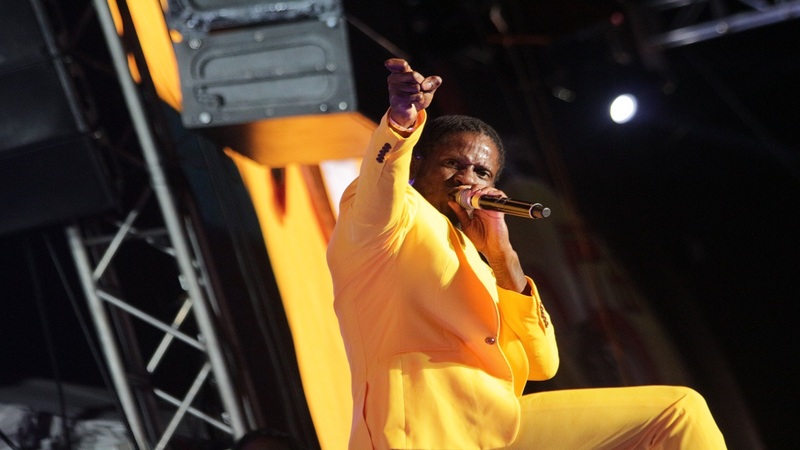 Dismissing his security detail's concerns, Aidonia ventured deep into the Catherine Hall, Montego Bay crowd at Reggae Sumfest Dancehall Night on Saturday morning to deliver his hit single Banga to crown his performance as one of the best on the show. Aidonia, performing in the wee hours of the morning, took the opportunity to wake up anybody who had fallen asleep, and leapt from the stage onto the press area at the front of it, before climbing over the inner fencing. Feeling that just going into the crowd was not enough, he parted his way through the massive gathering to get to the back, where he started Banga. The crowd voiced their approval and he cut another path through for his reentry to the stage. 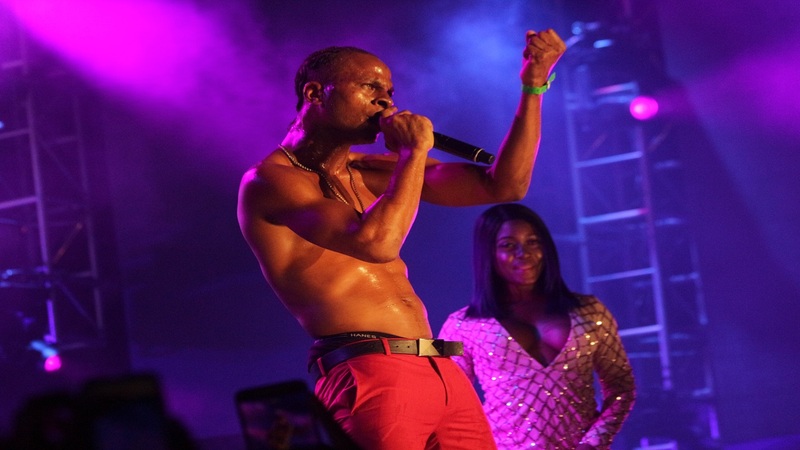 Before that, however, he had them singing and dancing to his beats, as dressed in yellow and white, he reeled off a series of hit songs from his catalogue – including Trigger Walk It, Bad People and Boring Gyal - to please the varied crowd at the venue. His performance was one of the best of the night as he displayed good stage presence and versatility throughout.